AB Applied Biosystems MDS Sciex API 2000 LC MS/MS API Mass Spectrometer . New Life Scientific, Inc.
Includes 90-Day Warranty. Powers on without issue. 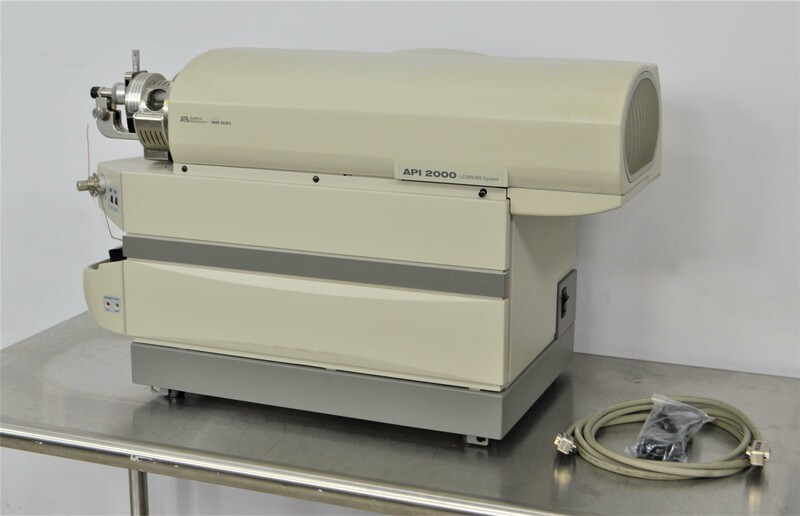 This Applied Biosystems API 2000 LC MS/MS liquid chromatography mass spectrometer is in good cosmetic condition with minor wear and two noticeable blemishes on the exterior. This instrument powers on without issue. This API 2000 LC MS/MS is in great physical condition and has new diodes installed. Our in-house technician inspected and powered on this Applied Biosystems API 2000 LC MS/MS Mass Spectrometer. This mass spectrometer has been fitted with new diodes and powers on without issue.